For over 40 years, the principals of Champion Records Service have provided records retrieval solutions to the Legal, Insurance and Corporate communities. Our mission is to continuously provide our customers with better communication, timely delivery and commitment to excellence by providing the highest level of personal service. By establishing and delivering higher expectations, we trust you will share our cost-saving practices that make the decision to work with Champion Records Service the preferred solution. Shorten the retrieval process helping you reach settlement sooner. Utilize staff time for more critical or higher revenue-producing tasks. 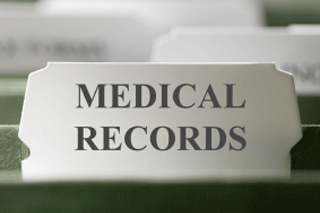 Obtain various types of records including medical, employment, scholastic, military, claims (current and prior) and more. Eliminate the headache of paying facilities directly. Champion Records Service holds the custodian accountable. We will confirm fees are in accordance to guidelines, saving your firm time and out-of-pocket expense. Prepare and send Notices, Affidavits, and Written Deposition Questions to appropriate counsels and custodians. Prepare and execute requests by authorization or subpoena duces tecum. Daily monitoring of every request with "polite persistence" follow up with custodians. Pick up and notarize any necessary documents. Index, organize and bates stamp exhibits to client specification. Scan and upload all records for immediate access. Deliver records in hard and/or digital formats. Itemized Invoice delivered with every completed request. To contact a team member at Champion Records Service, please call 877.290.4224 or click here to contact us.